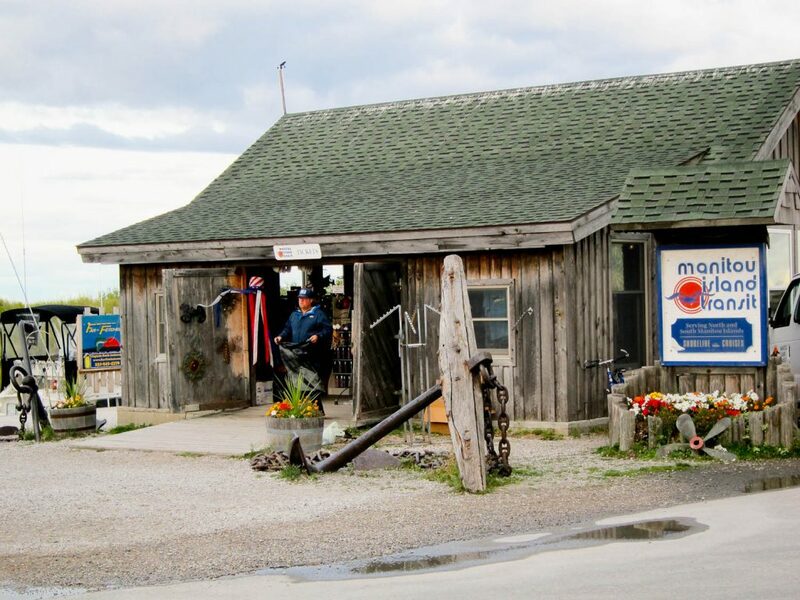 North Manitou Island is a very unique place! 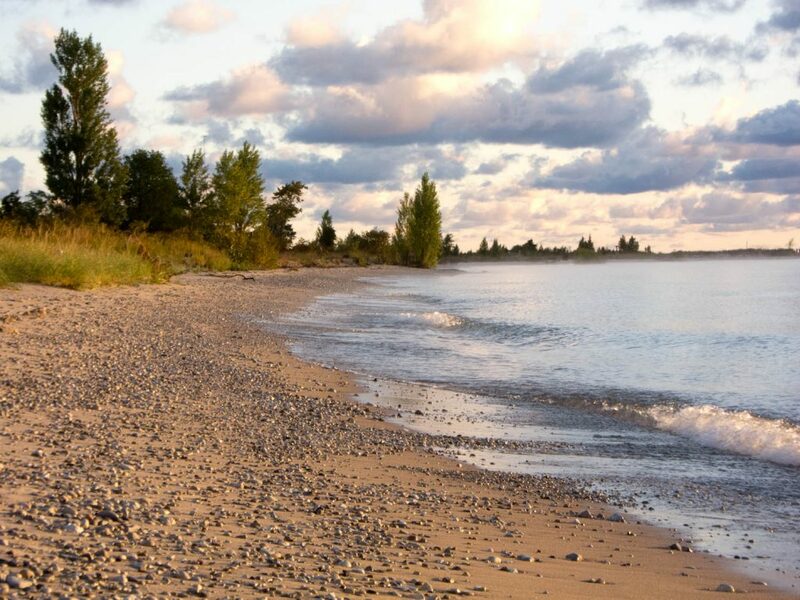 Located only few hours’ drive from Detroit and Chicago, is almost completely devoid and isolated from civilization. Officially, designated a wilderness, and a part of the national park, is an ideal place for a backpacking trip. 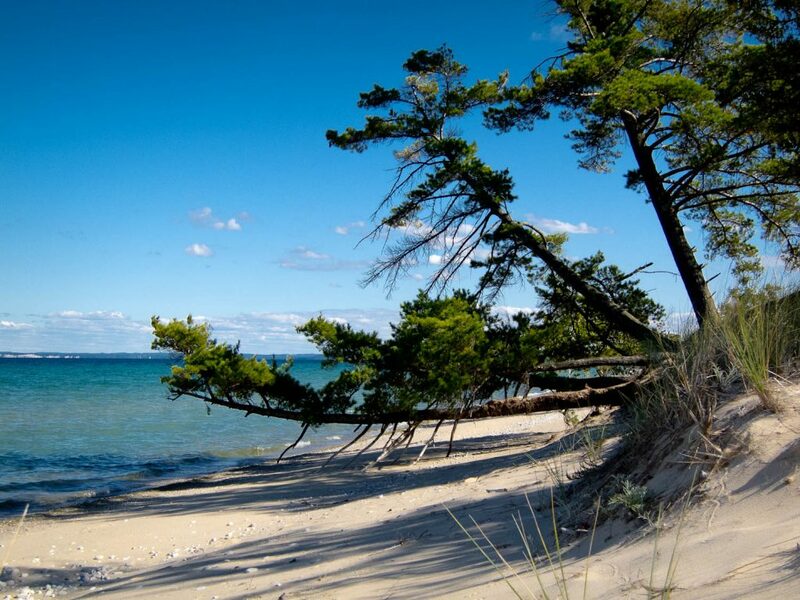 The island lays in the north-eastern part of Lake Michigan, about 12 miles west from Leland. 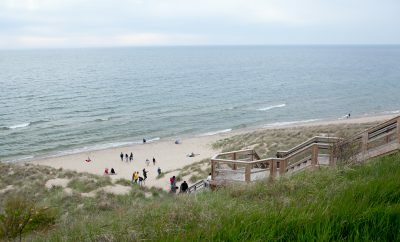 And it is part of the Sleeping Bear Dunes National Lakeshore. Somewhere along the island’s eastern shoreline. 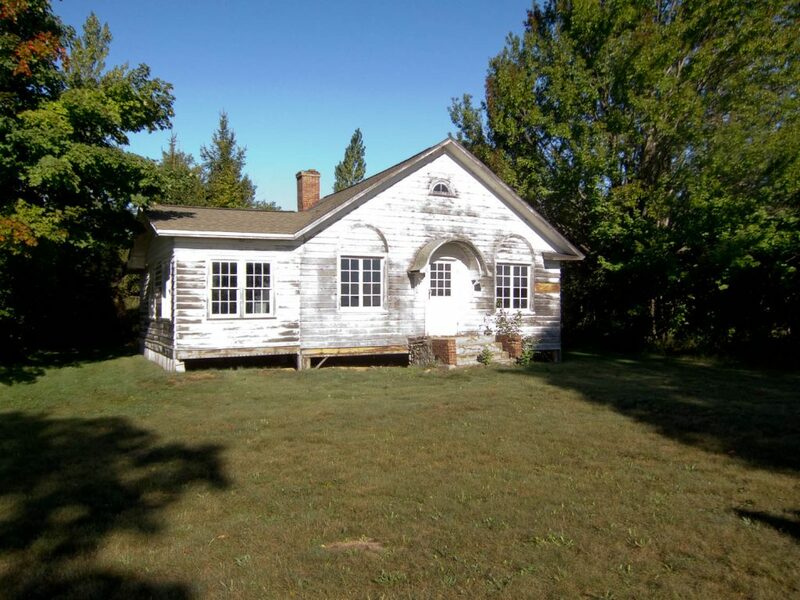 In the 1800’s, North Manitou Island used to be inhabited by settlers. Today you can find many signs of their presence and activity in form of old buildings, orchards, cemeteries, cars. One of the old buildings remaining on the island. 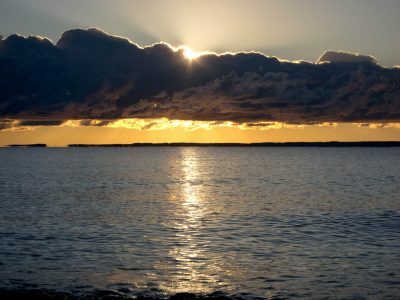 North Manitou Island is 7.75 miles (12.5 km) long and 4.25 miles (6.85 km) wide and has 20 miles (32 km) of shoreline. 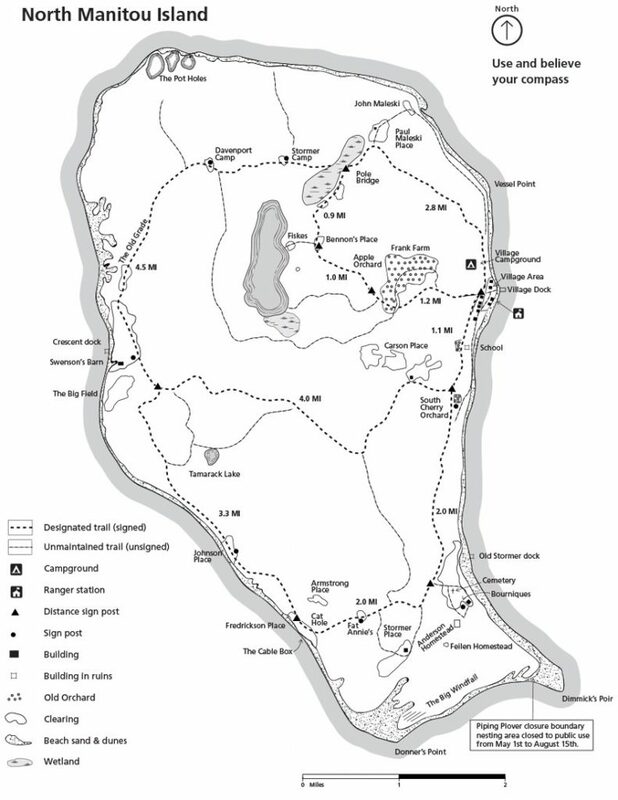 The highest point on the island is in the northwest corner and is 1,001 feet (305 m) above sea level or 421 feet (128 m) above Lake Michigan. The topography varies considerably on the island. The northern and north-western end is the area with high bluffs. The southern end is more sand dune like and flatter. 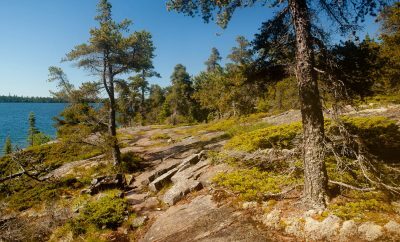 Most of the island is covered by forests of predominantly maple and beech trees. But you could find more pragmatic reasons to go there… Where else could you have few miles of beach entirely to yourself, or your party?! 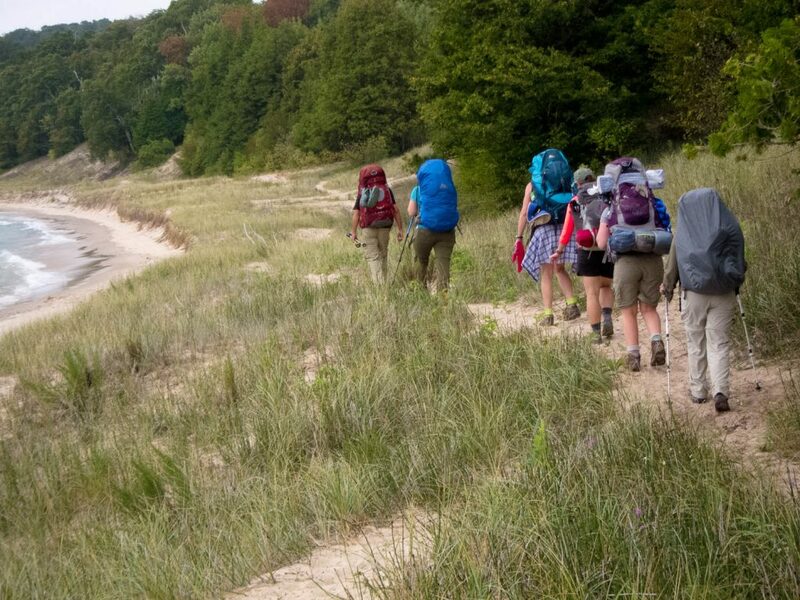 Where else could you hike along Lake Michigan for miles?! Where else could you camp, where when you unzip your tent in the morning, you see an unbound expanse of blue water?! Beach along the island’s shoreline. Yet, another long stretch of beach. Permits are available on the island and on the mainland. Groups are limited to a maximum of 10 people. The small Village Campground contains eight designated campsites, two fire rings and one outhouse. 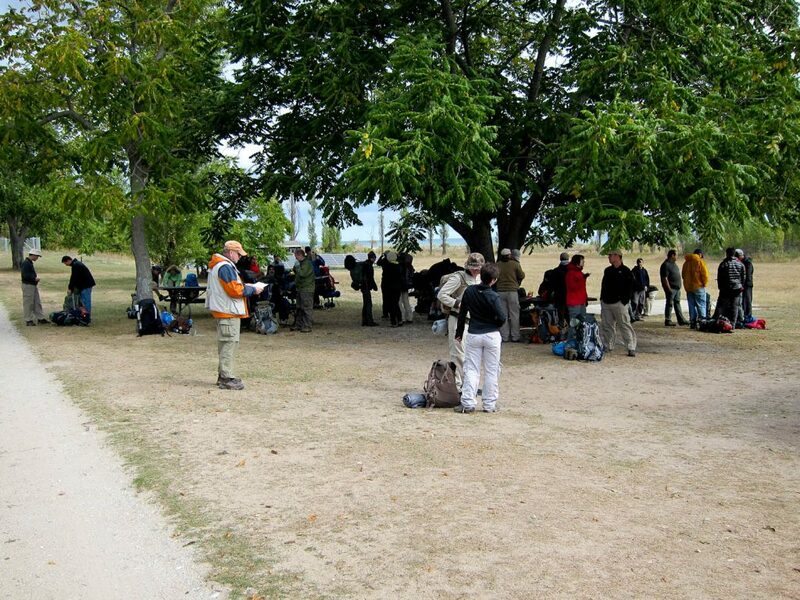 There is a limit of two tents and four people per site. Camping is allowed in wilderness area. 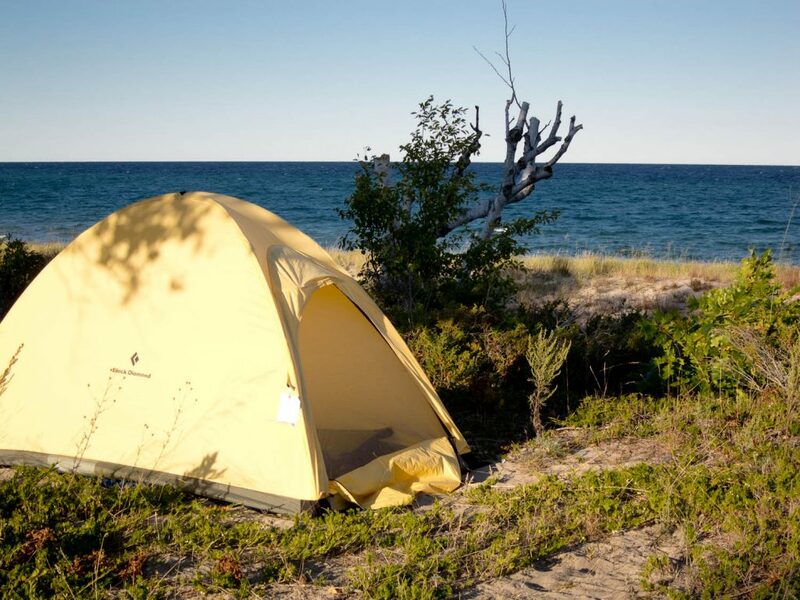 You can set up camp anywhere on the island, as long as your camp is NOT within 300 feet of anybody else, the water, or any of the historical buildings. You must also be at least 100 feet from the main trails. Camping somewhere along the island’s eastern shoreline. Open fires are prohibited in the wilderness area. Use gas or alcohol stoves. Fires are permitted in the community fire rings at the Village Campground. Potable water is only available in the Village and at the Village Campground pumps. All other water needs to be filtered or treated. All trash must be packed off the island as well. Upon arrival, you will be required to attend an orientation by the park rangers to inform you of the park rules, warn you of hazards, collect your permits, and register your travel plans. Hiking during one of the backpacking trips to the island. 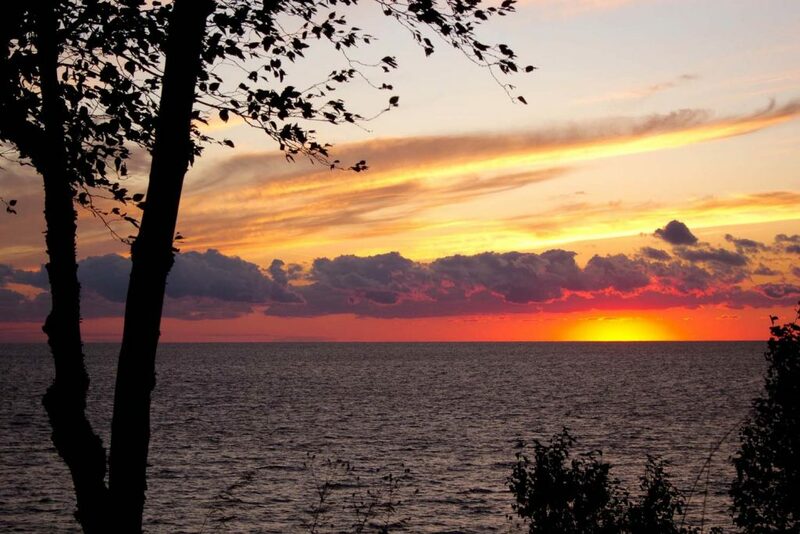 The western coast of the island is a popular camping place, thanks to the often-amazing sunsets over Lake Michigan. Another popular spot is on the southeast side of the island, along the coast, especially for those who like to enjoy the sun rise. I camped on both sides and both are nice. Hard to pick one over the other. The northern half of the island tends to be buggier, but also less populated with backpackers. I have not camped in the northern part yet, so I cannot provide more information. I’ve seen comments, that camping at Lake Manitou is also nice. The 4th of July weekend, according to rangers, is the busiest and there are typically about 300 backpackers on the island. Mid-June to mid-August is, typically, the black fly season. The exact dates depend on the weather. If Spring is warm, expect them to appear early. There is another pesky insect present on the island – the stable fly. They are the fast-moving ankle biters at beaches and picnic areas. You will know that you’ve been bitten as soon as one gets you. The island is also infested with poison ivy. If you plan on camping in the backcountry, you might want to bring some anti-poison ivy products. Recently, I’ve also seen multiple reports that the presence of ticks on the island has been increasing, and therefore you might want to consider wearing clothes that cover your legs and arms. You also want to bring some bug-repellent. 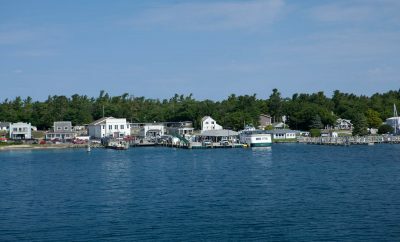 The ferry dock is located in Leland. Reservations for the ferry are recommended. You should plan to arrive at the Fishtown dock 45 minutes prior to departure. The ferry ride can be cool, even in the summer, so you might want to bring some warmer clothes. 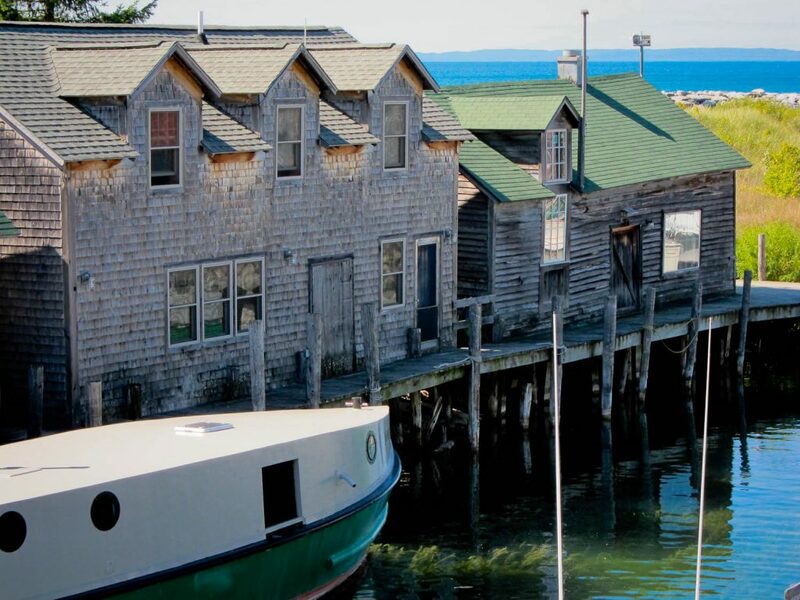 Manitou Island Transit shack at the dock. 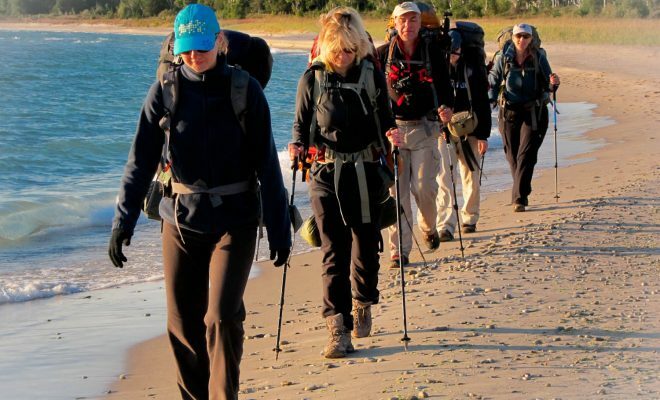 I would not recommend backpacking on North Manitou Island as a “beginner trip”, even though hiking there is easy. There are few reasons for it. 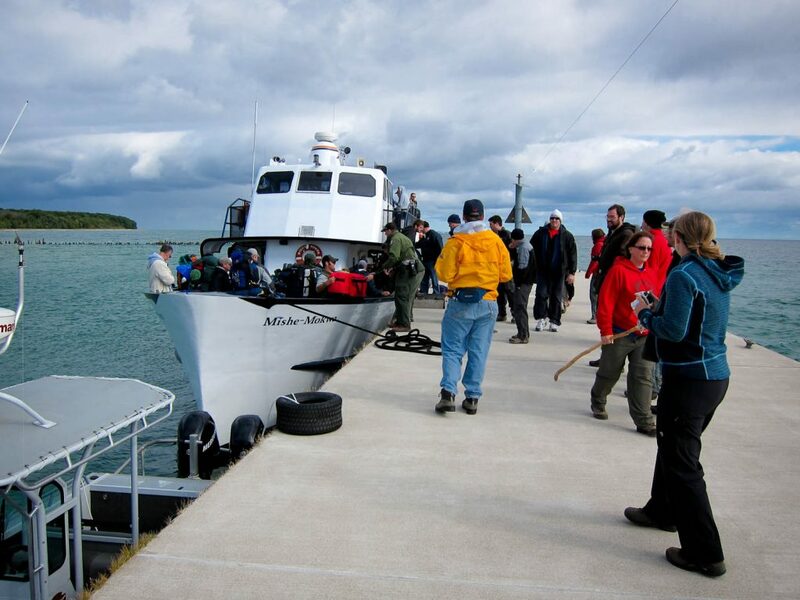 One, if something unfortunate happens, the evacuation is not easy – it is and island after all! Two, again, because it is an island, you might get stuck there for extra day, due to the weather, whether you like it or not! Three, since the island in on Lake Michigan, not often, but occasionally, you will encounter extreme weather. It could be disastrous, if you don’t know what to do, and/or are dealing with untested /unfamiliar gear. Sunset during one of the trips to the island. 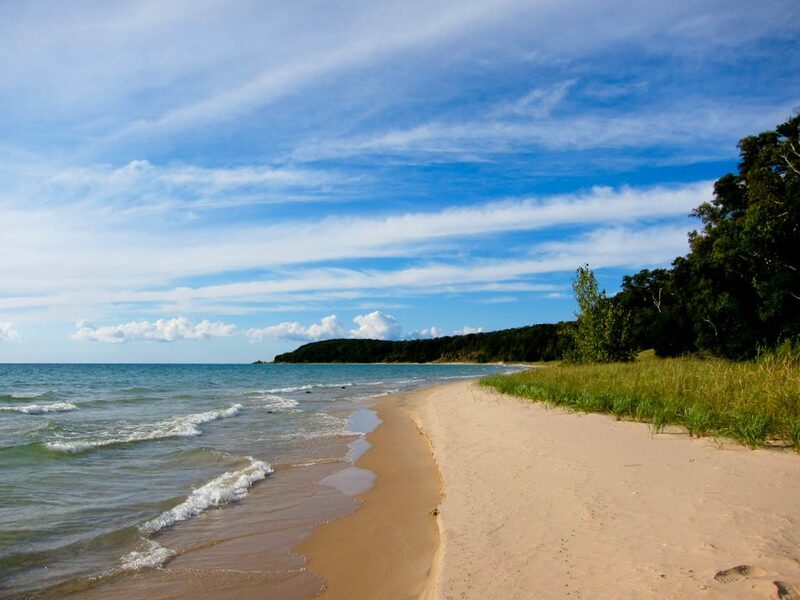 You can read more about my favorite Michigan backpacking destinations here: Best Weekend Backpacking in Michigan. Yet, another sunset on North Manitou Island.